We meet in front of the Clubhouse/office, which is the building with the pool behind it. See directions to our Mansion Hills pick location here. 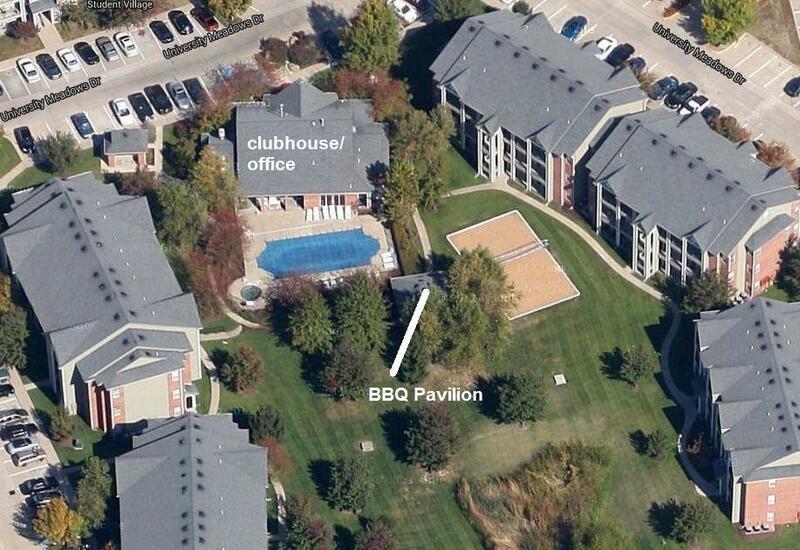 Below is the location of the University Meadows Clubhouse and BBQ Pavilion. We have are annual Welcome BBQ and other activities at the Pavilion. We often pick people up for activities in front of the clubhouse.